The system consists of an emergency power supply device of direct-current or constant-voltage, used for emergency power supply of LED modules using constant current and power up to 10W. Together with additional power supply (see diagram) there is a possibility of continuous power supply of a luminaire (light mode / basic). 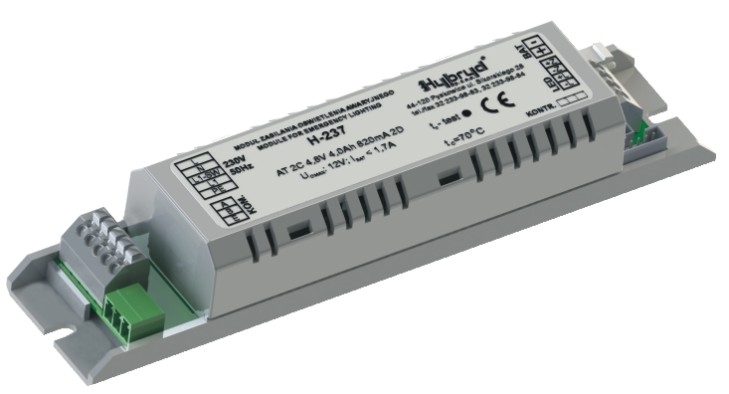 Compact design allows use of this module in many modern luminaires, for construction of emergency and evacuation LED lighting. CENTRALTEST version works in emergency lighting system with central monitoring system.